Is an empty pantry your trigger for ordering some quick but unhealthy vegan fast food? Do your staples include all the important nutrients? Don’t worry, we came up with a list of 10 nutritious vegan staples that will nourish your body, and bring you amazing flavours! Of course, 10 is no way near the variety we should be having. Fresh veggies, leafy greens and fruits should always be in your house, so we are not including them here. Instead, this list is for you to check if any of them is a surprise to you! You will see “… of all colours” a lot in the list because some of the most amazing foods such as quinoa come in more than one colour. We often get questions like which colour is the best nutritionally and the recommendation we give is – Mix it up and eat them all! Oats are not boring – they are probably one of the most versatile foods! You can make oatmeal, overnight oats, pancakes, cookies and even pizza crust with it. My view of oats was completely transformed after finding the ‘Oat Queen’ Maddie on Youtube. She cooks anything and everything with oats – soak, cook, bake, blend! You need to check out her recipes page and ebook “ALWAYS OATS”. You might also ask which type of oat is the best? Steel cut oats are the least processed and most nutritious one, but take longer to cook. Rolled oats are softer and easy to make oatmeals with, also a good choice. Try to avoid instant oats if you can as they are the most processed. Here is an article that explains the different processing of these oats. Purple, yellow, red, white, have you tried all of them? My personal favorite is yellow sweet potato, they taste the softest and sweetest to me. But of course, different colours indicate different nutritional profiles and you should definitely mix them up. Sweet potatoes are so easy to make yummy – chuck in the oven and come back when you smell them! Sadly they have gotten a bad rep because of the false information on carbs and weight gain, which couldn’t be further from the truth! Sweet potatoes are high in water and very filling, which actually makes them perfect for weight loss. Give yourself a 5 minute “Sweet potato facts 101“ and you’ll be surprised by how nutritious and beneficial they are! Sweet potatoes even show anti-cancer potential as Dr. Michael Greger explains it here. Check out this amazing recipe on vegan stuffed sweet potatoes! If you don’t have some fresh or frozen berries in your kitchen, you definitely need to stack them up. Their anti-oxidant levels are through the roof. Berries are also amazing brain foods, counteract the toxicity of pesticides, inhibit platelet aggregation, and reduce muscle soreness! Blueberries are especially beneficial for lowering cholesterol and heart health. When fresh berries are not in season, simply keep some frozen berries in the freezer. You can make healthy smoothies and berry jam with them! Most people don’t eat enough beans and legumes, missing out on their amazing benefits for heart health, and a longer lifespan! Beans are highly filling foods, full of complex carbs, fibre, and protein. You might not have much time to soak and slow cook beans, but you can always easily get canned beans with BPA-free lining! Through your beans generously to salads, stews, and Buddha bowls. The best thing about beans? They make the most amazing sauce: Vegan hummus! So many recipes with beans, so many!! Did you know that the UN named 2013 ‘International Quinoa Year’ to highlight quinoa’s high nutrient content? It has twice the protein content of rice or barley and is an amazing source of calcium, magnesium, manganese, B vitamins, vitamin E and fibre. Quinoa is one of the least allergenic ‘grains’, a good wheat alternative. Quinoa also has an excellent amino acid profile with all nine essential amino acids, making it a complete protein source. So many more benefits of quinoa are listed here. Don’t know how to cook them? Check out these 17 vegan quinoa recipes! Before I went vegan, I only ever drank cow’s milk or cow’s milk powder. I never knew this whole new world of soymilk, rice milk, almond milk, cashew milk, coconut milk, hemp milk, oat milk, flax milk, hazelnut milk and pea milk! It’s a crazy discovery! You can even learn to make your own plant-based milk – healthy, cruelty-free and inflammation-free. Just like the eye-opening variety of plant-based milk, Brazil nut is another discovery after veganism. 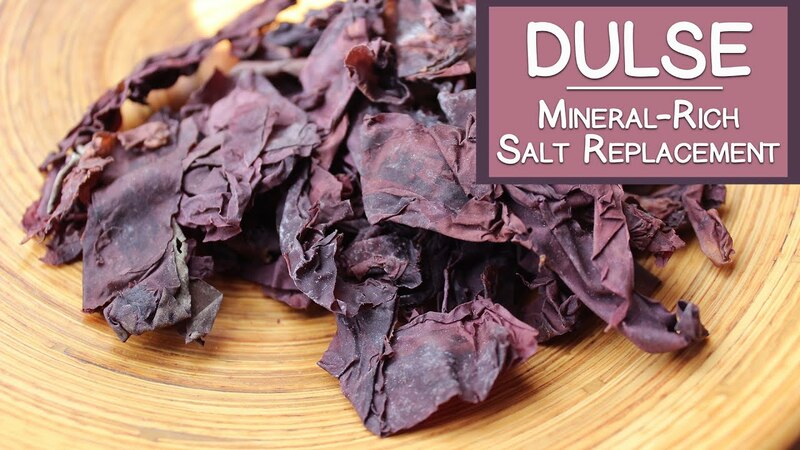 It is the richest known food source of Selenium and has many other benefits, an essential mineral for a healthy immune system and nervous system! If you are experiencing any sort of inflammation, get a brazil nut a day. Be aware not to consume more than that though as too much Selenium is not good either. Garlic is used a lot in Asian cooking for good reasons – they bring out amazing flavours and also have many health benefits. Garlic and flavonoid phytonutrients found in fruits, vegetables, nuts, and grains can counteract the mutagenic chemicals found in cooked meat. Interestingly, consumption of small amounts of garlic or raisins may even lower the risk of premature birth. Garlic is also a natural food against lead poisoning and platelet activation. Small amounts of garlic are already powerful, why not just put a few gloves in your stew or stirfry? Check out these 12 Vegan garlic recipes. What?! Veggie pasta? Yes you heard me right. The last one may seem odd – edamame? What even is it? Edamame are basically just young soybeans harvested before ripe that you can buy shelled or in the pod, often in the frozen section of Asian supermarkets. They are gluten-free, low in calories, contain no cholesterol, added sugar and lots of protein, iron and calcium. You might be surprised that tofu is not in this list as a protein staple, guess what, edamame is more nutritious than tofu! So easy to make to, you only need to steam them with a few minutes and there you have them. When in doubt, start with this beautiful edamame quinoa salad! Do you love onions, but find yourself a little bloated after eating them? What about pizza and tomato sauce? Do they give you a heartburn every time? Or maybe just sparkling water or brussels sprouts can make you feel gassy? It’s likely that you’ve had these symptoms, perhaps with other food, even “healthy food“. You wouldn’t usually connect the mild symptoms to food, and realize they are a distress signal. This distress signal is usually a sign that your body is rejecting the food and having a hard time digesting it. War is happening and inflammation is the result. Is there a way out? Yes, but you might not like it – Leave out the foods that your body doesn’t like, even if they are your favorite. However, this list of “To avoid foods” will be different for everyone. There is no one bucket for inflammatory foods. Our bodies respond differently to the same foods. Maybe your body doesn’t respond well to the “healthy foods” such as olive and garlic, they might even be labeled anti-inflammatory! But understand that those labels are based just on their nutritional makeups and the effect on the average population. What might be healthy for others might be inflammatory for you, and vice versa. Food intolerance, allergy, or sensitivity? These are three different things. Food intolerance is when your body lacks certain enzymes to break down certain proteins. An example is lactose intolerance. People who are lactose intolerant lack the lactase enzyme. What’s the solution? Avoid milk and dairy products, substitute with plant milk. Food allergies and sensitivities are due to an overreacting immune system. Allergies are immediate and can be life-threatening at times. Common food allergies include nuts, eggs, and shellfish. Food sensitivities are usually milder and can be delayed by hours to days, depending on how much of the suspect food you ingested. Some common symptoms of food sensitivities include: bloating, cramps, sneezing, headache, fatigue, joint or muscle pain. It is easy to miss these symptoms as they are not necessarily related to digestion and therefore linked to food. Are you sensitive to certain foods? When people talk about inflammatory foods, what they are really talking about are food sensitivities, not intolerances or allergies. The tricky part is that food sensitivities can be hard to pinpoint. You can’t just get a skin or blood test, like you can with allergies. Food sensitivities have symptoms that can vary and be easily confused with other health conditions. But from now on, you can be more mindful and catch some foods that you are sensitive to. Once you’ve cleaned up your diet and excluded the foods that you are sensitive to, you will naturally feel better and those symptoms will disappear. Next time you get symptoms of sensitivity, think about what foods you ate and do a trial and error style eliminating to see by getting rid of which food, you can avoid the symptoms. Trial and error? Wouldn’t this take forever? Well, nailing down the best foods for your unique body is not an easy job! fried foods, even if it’s king oster mushrooms fried with olive oil! Once you’ve cut out this obvious list, you will likely feel a lot better already. But like I said, even on the “healthy foods” list, there might be foods that your particular body doesn’t cope well with. Now is time to really pay close attention to any symptoms after eating particular foods. You’ll find yourself being a detective, sorting through every little thing that you put in your body. Don’t be frustrated, you are doing your body a huge favor. A food diary really helps! You can find a “Food, Symptom and Mood Diary” on our Resources page. Write everything down, even if you think they are unlikely. Every food is innocent until proven guilty, so even the “healthiest” food should not be ruled out. Remember, if it is considered healthy, but doesn’t work well with your body, then it is not good for you and don’t force yourself to eat it. What’s labeled “superfood”, “healthfood” out there, may have some nutrition evidence, but keep in mind – they are out their also because they are profitable! Just look at coconut oil, it was claimed to be a “superfood” for so many health problems, yet after more research, it turns out it’s just another fad. I have a blog on this called “Why can’t food scientists agree on coconut oil?” if you want to read more. Don’t focus on the hard efforts you have to put in each day to keep track of all the food, instead, focus on how much better your body feels after eliminating the foods you are sensitive too. You are going to be in this detective game for a while, but not forever. Soon you will find yourself more energetic and less grumpy. Of course, don’t end up at the conclusion that your body loves chips, meats, processed foods because you feel awesome after eating them. The natural body reactions we are talking about in this article DO NOT equal addictive feelings! You know that those processed foods are there to trigger the reward center in your brain and overwrite the true responses. Eliminate them without a question! Over time, your plate should look whole food and plant based. Your body will heal as you make these changes. Your goal is to feed yourself the right foods that really nurture your body and mind, to prevent chronic inflammation, the crappy feelings it brings. Chronic inflammation is the root cause for many long-term diseases, so don’t overlook the mild symptoms! Start paying attention to what you put in your mouth. And feel free to let our dietitian take a look at your food diary! Said not me, but a meta-analysis of randomized controlled trials. Last month I went to a career networking event – nothing about the event itself changed, but I did. I’ve always liked going to events for the extra perk of getting free food. I didn’t care about whether they are junk food because free = good. I was constantly in shock of how much misinformation we hold regarding health. I mean, just look at the number of fad diets out there if you don’t believe me! Everyone else looked so happy, voluntarily ingesting one piece after another, while sipping some delicious alcohol. But … are we really happy? According to the World Health Organization, 300 million people around the world have depression. Nearly 50% of all people diagnosed with depression also experience an anxiety disorder. It’s estimated that 15% of the adult population will experience depression at some point in life. I am not saying that bad eating habits and unhealthy food cause depression (although likely true), but it is a common practice for depressed people to indulge in some addictively yummy junk food — ice cream, chips, soft drinks etc. Once it becomes a habit, the occasional cheat meals naturally become the default, even when we are not feeling depressed. Unhealthy diet contributes to approximately 678,000 deaths each year in the U.S. due to nutrition- and obesity-related diseases, including heart disease, cancer, and diabetes. 1 In the last 30 years, obesity rates have doubled in adults, tripled in children, and quadrupled in adolescents. Does what we put into our body affect how we feel, physically and mentally? Of course it does! When you don’t treat your car nicely by giving it the cheapest, crappiest fuel, will you expect it to run far? One day, the car will break down because of all the crap it was fed. You will have to dump in a lot of money to fix it, just like fixing depression and anxiety with a bunch of drugs that don’t always work. But…why didn’t you just put in some good fuel in the first place? The effects of healthy diets on mood have been known for some time but many people (including doctors) will rather turn to the “safer” option of medications to treat disorders like depression. This is often simply because the impact of dietary modification as a treatment or intervention strategy is not straightforward to quantify and the evidence seems to be “up in the air”. What we call “comfort food”, high in sugar and fat, activate our brain’s reward center. This is just similar to smoking and drug addiction — while we may feel some temporary pleasure, it doesn’t benefit us in the long run. Instead, eating nutrient-dense foods that are high in fiber, vitamins, minerals and phytochemicals, while reducing processed foods with refined sugars are truly beneficial, in the short and long term. Health-promoting whole foods should be consumed daily, in great variety and abundantly. How should your plate look like? A variety of plant-based whole foods: vegetables, leafy greens, fruits, legumes, grains making up a colorful palette. While further research is always required to understand the specific mechanisms underlying the effect, we are slowly getting a more comprehensive picture of how food affects the whole body, one that includes our massive gut microbiome. Changing what we eat firstly affects the plethora of bacteria living in our bellies. While the finding that “Junk food is bad, plants are good” isn’t so new, this meta-analysis is still a significant step forward in really implementing dietary interventions for mood disorders such as depression. Health practitioners usually have a heavy influence on what approaches patients take to improve their health. Doctors, dietitians, psychologists, therapists, coaches, and the plant-based community should take up the responsibility to be early adopters of lifestyle changes as disease intervention and treatment. With this new study, health practitioners should be more confident in prescribing dietary interventions alongside other treatment options. Of course, health is yours. No matter what the doctor, or the dietitian, or the internet says, you hold the ultimate choice of what to put in your body. You may not be able to decide what kinds of food appear in an event you have to attend, but you can choose to avoid eating them and seek healthier alternatives. When depression and anxiety kick in, you may feel like you don’t have control over your mind. But don’t just give up taking the control back and indulge in fast food for temporary pleasure. What is the most important factor when it comes to diabetes – genetics, sugar, calories, insulin? A few years ago, we may say sugar and insulin, but new research has dramatically changed what we know about diabetes. “Fat, get out of the way and let me pump my sugar!” – Insulin. It turns out that the fat in animal products and oils prevent insulin from doing its critical job – moving glucose into cells, lowering blood sugar level, and keeping us healthy. In other words, what caused your diabetes or made it worse is not just your refined white bread or sugary drinks, but also the mayo dressing or cheese slices that you eat all the time! Experiments on mice have shown that when fat is reduced from the diet, insulin can function properly, alleviating and eventually curing Type II diabetes! Therefore, a low-fat, plant-based diet is the best for diabetes and conditions associated with it, such as heart disease, obesity, high cholesterol, and high blood pressure. Has this been shown in humans? Yes. One study found that 21 of 23 patients on oral medications and 13 of 17 patients on insulin did not need their medications after 26 days on a near-vegetarian diet and exercise program. These dietary changes are simple, but the effects they had are profound, both on a short-term and long-term scale. However, Dr. Neal Barnard from Physicians Committee of Responsible medicine points out that “choosing skinless chicken, skim milk, and baked fish is not enough of a change for most people to beat diabetes”. A plant-based diet is necessary if you are serious about diabetes. How to combat diabetes with a dietary approach? Go plant-based and throw out animal products. or seeds to a small handful every day. The amount that you sprinkle on your breakfast oatmeal is sufficient. Avoid animal products of all sorts to avoid saturated fats. You can easily get your protein and fat intake with balanced plant-based meals so don’t worry. Plus, there are plenty of resources on our page that can help you, such as this food plate from Vegan Palette. Although vegetable oils are healthier compared to animal fats, they should still be avoided. All fats and oils are high in calories – 1g of any fat or oil has 9 calories, whereas 1g of carbohydrate has only 4 calories. We only need a small amount each day and it is so easy to go overboard in the modern days. Remember to watch out for oily sauces and dressings. Also, don’t assume you can eat as many avocados and nuts as you want! Check out this video by an accredited dietitian, nutritionist Raymond from Vegan Palette :”Why eating plant-based means giving up oil“. Don’t be fooled by the packaging. Food industries can print “Low-calories”, “Low fat” in big block letters and fool you into thinking they are healthy. Always check the back and choose foods with no more than 2-3g of fat per serving if you are serious about not getting diabetes. The glycemic index (GI) identifies foods that tend to raise blood sugar. These include white rice, white and wheat bread, corn flakes, puffed rice cereals, and most commercial cereals. Swap them with low GI foods, such as oats, sweet potations, natural pasta, beans and so on. Instead of rice, you can eat quinoa. Instead of white bread, you can eat rye bread, multigrain brain, and sourdough. Lots and lots of fibre. Fibre is literally the best thing about plant-based diets. They are the natural cleaners for your blood vessels and digestive system. If you follow the above advice and eat plenty of plant foods, you will easily get at least 40g of fibre per day. You should aim for at least 40g of fibre each day. When reading food labels, check if there is at least 3g of fiber per serving. Have you checked out our comprehensive Vegan Health & Nutrition Resources page? I’ve compiled my gifts, knowledge and tips regarding thriving on a vegan lifestyle in this page, including a dietitian guidebook, grocery shopping list, lifestyle checklists, and the best vegan websites I recommend, all for you for FREE. Raymond Setiadi is an Australian Accredited Practising Dietitian and is the founder of Vegan Palette, a Brisbane-based dietitian practice. As an expert in whole food plant-based nutrition and fat loss strategies, Raymond has a comprehensive understanding of the interplay between food, human physiology, goal-directed psychology, and how they all play a pivotal role in one’s pursuit of optimal health. I love bread. Who doesn’t like watching bread take its shape in the oven, while smelling that appetising hot air? Finally, that long awaited bread is ready, you take it out of the oven, and sprinkle some cinnamon – perfect. We are not alone. Bread has been consumed for over 30,000 years. It is THE MOST popular food in the whole wide world. It makes sense that bread arose early in the human history as an excellent source of nutrition since a traditional loaf requires only 4 ingredients: flour, yeast, water and salt. For natural leavens or sourdoughs, yeast is even unnecessary. Take the white bread as an example. You would think that the ingredient list should look simple, but unfortunately it is not. Nowadays, bread is not just bread anymore. The simplest white bread has over 30 ingredients, many of them an ordinary person can’t even pronounce. In fact, white bread isn’t even nutritionally worth it to consume, as it is so deprived of nutrients and fibre during the heaving processing. I recommend you watch Dr. Michael Greger‘s video on Is white bread good for you? If bread only takes 4 ingredients to make, what are all these things doing there? Probably to make the bread appear ultra white, smooth, light, soft and even stay on the shelf for weeks. I don’t think we want those things in our bodies. Well, white bread is bad because it is so cheap. But what about the more expensive ones that claim to be healthier? The Abbott’s bread is a popular “healthy choice” in Australia. Now the ingredient list looks more like comprehensible language, indeed much better. But still, what are maltodextrin, emulsifiers and flavouring powders doing there? It is extremely hard to find simple, authentic bread made of just the ingredients necessary. This is just an example of over-processing in the modern food industry. Should we just stop eating bread? That’s not what i am suggesting. Baked bread is an excellent source of iodine, and whole-grain bread with little processing is excellent. Research has shown that 3 portions of whole gains can reduce the risk of getting a heart attack by 15%, and the risk of getting a stroke by roughly 25%. It just takes some effort to find bread that is actually good for you. But we are going to teach you how! What bread should you really be eating? If the original recipe for bread is simply 4 ingredients, then it makes sense that we should aim to get bread that is made that way. In other words – get as close to the original recipe as possible. Instead of going to supermarket, try a local bakery and ask the baker what the ingredients are. The bakers tend to use real flour, instead of the “enriched” or “refined” flour that is commonly used in commercial bread. Note that for people who are trying to control their blood sugar levels, definitely stay away from enriched or refined white flour, as they can make your blood sugar to spike. In contrast, natural whole grains are nutrient-dense, more satiating and is much milder on blood sugar level. Be careful though, that many commercial bread put words like “multi-grain“, “whole-grain” at the front of their packaging but are actually misleading. Flip over the bread and look at the ingredient list to see if those are false claims. One way you can quickly distinguish between authentic whole-grain bread and false claims is this simple math trick: if the serving size ratio of carbohydrates to fibre is equal to or less than 5 to 1 (eg. 15g of carbs and 3g of fibre), this bread passes the whole-grain test. If the ratio ends up being something like 18, which is not uncommon for many brands, put the bread back onto the shelf. This simple 5 to 1 rule comes from Dr. Michael Gregor and can be used for other things too such as breakfast cereal. Don’t ever believe what the front package claims without performing this test yourself! Another healthy option, especially for people who are gluten-sensitive is sourdough. This is the bread that Ikarians eat. Ikaria is one of the world’s blue zones (places with the highest life expectancy). Ikaria has even been called the island where people forget to die! One secret is that ikarians eat true sourdough bread that is fermented not with bakers yeast but lactobacilli, a beneficial naturally-occurring bacterial strain. The resulting bread is slightly more sour in taste, but has less gluten and a naturally longer shelf life. It is nutrient-rich and slow burning, excellent for those who want to lost fat. However, it is common to find fake sourdough breads in stores nowadays. If they still contain yeast or sweetener, they are not true sourdough breads. Go to a local bakery and ask for how their sourdough bread is made. Of course, the best solution is to just make you own. Here is a recipe from the Blue Zones website. In conclusion, this post is not to discourage you from eating bread. Good whole-grain bread is beneficial for you but you need to select wisely. Choose bread with fewer ingredients, ideally baked fresh in a local bakery. Always have a chat with the baker to see how the bread is made, especially when you are looking for true sourdough breads – they can be tricky to find. Use the simple “5 to 1 carbs to fibre” rule to distinguish between true whole-grain bread and false claims. If you can implement these simple tricks to select your bread, you can enjoy the pleasures of bread as well as the health benefits! Why can’t food scientists agree on coconut oil? Does it really burn fat? Coconut oil is probably one of the most controversial food. Some regard it is a “superfood“, rich in antioxidant and other nutrients. Claims regarding what it can do ranges from burning fat, preventing Alzheimer’s disease and improving endurance. But surprisingly, others consider it as a “devilfood“. Karin Micheals, a professor at Harvard, even went as far as calling coconut oil a “pure poison“. Why can’t food scientists agree on coconut oil? Are the claimed benefits backed up by research or made up simply for propaganda? Well, interestingly this debate on the coconut oil is actually related to changes in our nutrition guidelines and beliefs. The pro-fat voice soon pushed avocados, olive oil and chia seeds into the spotlight. The public quickly learned about these new foods and called them “superfood“. While most food scientists and nutritionists agree that the fats in avocados and olive oil are healthy, compared to other fat sources, they couldn’t quite agree on coconut oil, a food composed almost entirely of saturated fat! For decades, the heart associations educate people that saturated fat is bad as it increases cholesterol levels, putting people at risk for terrible heart diseases. But coconut oil comes from plants, surely it is healthy? Of course, coconut oil is not pro-inflammatory like meat. But compared to other vegetable oil that is lower in saturated fat, coconut oil does increase LDL cholesterol (the “bad” cholesterol” levels, make it less healthy. Therefore, it is all relative – coconut oil can be considered healthy or unhealthy, depending on what you are comparing it to. If you have been puzzled by coconut oil, don’t subscribe to either extreme – It is not a “superfood“, but it is also not a “devilfood“. There are both better and worse sources that can offer you the needed fat. Does coconut oil really burn fat? The fat-burning claim about coconut oil came from some evidence that suggested the medium-chain triglycerides (MCT) in coconut oil can promote fat loss. While it is true that coconut oil contains a lot of MCT, follow-up research has shown no difference in the fat-burning ability of coconut oil compared to other types of oil. In fact, there are only 4 calories in 1 gram of protein and carbohydrate, but there are 9 calories in 1 gram of fat! Correct – more than double. This applies to all oil types, including coconut oil! So by consuming lots of coconut oil, you can easily add 200-400 extra calories and that of course, will reflect on your waistline. To sum up, coconut oil doesn’t burn fat, instead, it could make you gain weight. You should avoid over-consumption of all types of oils, even if it’s vegetable oil! For those of you already on a vegan, plant-based diet, coconut oil is probably in your kitchen a lot. Don’t throw it out, as it is surely much better than butter and improves the flavor of many dishes. However, also don’t over-use this one type of oil. In fact, be cautious of any claim of “superfood” as it is like just propaganda. The best way to eat healthily is always to have variety like we always advocate for at Vegan Palette. In this case of oil, have other monounsaturated and polyunsaturated oils in your kitchens, such as olive oil, sunflower oil, and canola oil. Does coconut oil cure Alzheimer’s? Does coconut oil clog arteries? What about coconuts, coconut milk & coconut oil MCTs? Inspired by the Map of the Queensland innovation ecosystem, I created a special map for the vegans in Brisbane! The Map of Services Available for Vegans – Brisbane is here to support all current vegans and those transitioning to a vegan lifestyle. The purpose of this map is to make the services and initiatives more visible to support vegan experience in Brisbane. My hope is that by showing how extensive our support network is, more fellow vegans and vegan-curious friends will be excited to be on a journey of Health, Love, and Purpose. This map captures both local and online services offered by national, international vegan communities, local business and societies, education institutions, non-governmental organisations, individual and group activities in Brisbane. There are so many great organisations involved that support a vegan’s journey. Some will be missed from the map, and many embarrassingly obvious. If this is you, I am really sorry, please comment below or send me an email at raymond@veganpalette.com. The scope of the map is Brisbane, but also includes some services in Queensland, or worldwide. I highly recommend each region to have their own version of the map, to improve vegan experience Australia wide. Please feel free to use this map as a template. The map is not perfect, and I am sure there are missing services. But in the interest of shipping over perfect, it will do for this release and I will keep updating it based on your feedback. While it is common for vegans to worry about B12, Iodine doesn’t get nearly as much attention. You’ll soon get to learn about some surprising facts about iodine from this post and know what to do to avoid iodine deficiency. Iodine is crucial for the production of thyroid hormones. Deficiency can lead to thyroid enlargement. Pregnant women, in particular, need to pay close attention as inadequate iodine can harm the growth of the developing foetus. Since vegans replace cow’s milk with various plant milk, one concern is that the lower iodine content in plant milk puts vegans at higher risk of iodine deficiency. Is this true that veganism is the reason for iodine deficiency and non-vegans are safe from it? First of all, even the non-vegans are not getting as much iodine out of milk since the dairy industry has stopped using iodine-based disinfectant for cleaning milking equipment. So definitely don’t subscribe to the claim that drinking cow’s milk keeps you safe from iodine deficiencies. In fact, Australians on average have median iodine intake (only about 100mcg! ), which makes us mildly iodine deficient. Everyone needs to be more aware of their iodine intake! Let’s take a look at what other factors can affect iodine levels in people. Due to lower soil iodine levels in the South East Australia, children have lower iodine levels when compared to those from Queensland and Western Australia. Iodised salt is an excellent source for iodine, except it is not used as much as the old days. Instead, it is often replaced by all sorts of other processed food flavors, chemicals, that achieve the same or better taste, without the added iodine. Believe it or not, the iodine deficiency problem is addressed by legislation that requires bakers to use iodised salt in bread. Therefore, having whole-grain bread is recommended. Nowadays, carb is still falsely perceived as “The devil for weight” in many people’s minds. While it is true that white bread is unhealthy as it is highly refined and poor in nutrition, whole-grain bread is excellent for your nutrition. So how can we ensure adequate iodine intake? A true whole food, plant-based diet. By that, I don’t mean processed vegan junk food, grain-free, low-carb diet, but a truly balanced diet that focuses on a variety of whole foods, minimally processed and covering all the essential food groups. For more information on what these food groups are, visit my comprehensive Resources page after this post. While too much salt is certainly bad for you, do use iodised salt and bake bread with iodised salt on a diet that is low in salt. Completely eliminating salt from your diet is not recommended. Seaweed products are a rich source of iodine. 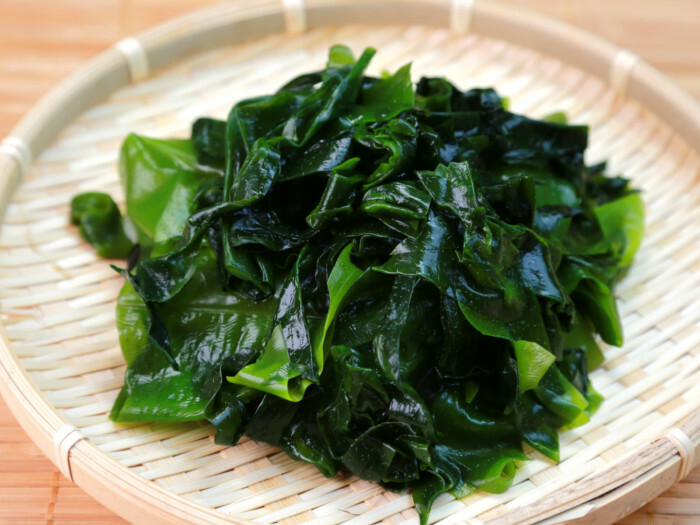 I recommend Nori (40mcg per 2.5g sheet), wakame (250mcg/g) and dulse (~125mcg/g). For some, getting iodine from diet is simply not enough, be it vegan or other diets. Women who are breastfeeding, pregnant or planning to become pregnant should be extra conscious of iodine. First, have the iodine status checked with a doctor. Or, take a small iodine supplement providing 75-150mgs of iodine everyday. It is certainly untrue that vegans are the only people at risk for iodine deficiency. In fact, the average Australian is mildly deficient! Therefore, drinking cow’s milk is not a safeguard to high iodine level. It is just another false claim from the dairy industry, unfortunately. Keep plant powered folks, and sprinkle a little iodised salt on your amazing plant foods! Feel free to let us know your personal journey on this, our Brisbane-based accredited practicing dietitian, nutritionist is here to help! You can learn about our services and how to get in touch. Does it drive you nuts the second someone tells you to eat more protein and not let your muscles waste away on a vegan diet? Don’t worry, we’ve all been there. Well, next time someone is bugging you about muscle wastage, just show them these amazing vegan athletes! Mac Danzig, the vegan martial artist; Scott Jurek, the ultramarathon runner; Carl Lewis, the Olympic sprinter; Tia Blanco, the vegan surfer … The list goes on and believe it or not, they all switched from meat and dairy to plants! So what’s the truth? Do vegans get enough protein? From where? Is it possible to have muscle gains on a vegan diet? This article is the result of hours of literature research so that every piece of information is accurate and accountable. We hope it helps you out. Extensive research has shown that a plant-based diet is undeniably good for our health. It could stave off the typical modern diseases such as high blood pressure, cholesterol, heart diseases, diabetes, obesity and even some forms of cancer! Unlike animal foods, plant foods are naturally low in saturated fat, cholesterol and sodium. Instead, they are loaded with vitamins, minerals, anti-oxidants and thousands of other phytonutrients. Some of them are disease-fighting, anti-aging compounds unique to the plant kingdom. Did you know that what we feed to the gut is also so crucial to the microbes in our digestive tract and largely determines the metabolites they produce? When animal products make up the bulk of your diet, inflammatory metabolites could be produced and lead to inflammation. Research has shown that the production of a detrimental compound, TMAO, increases from consuming high animal proteins and salt. Increased TMAO is associated with heart disease, diabetes, cancer and vascular dementia. In contrast, fibre has been shown to reduce TMAO and protect against heart diseases! To read original science articles on this, just go to the references section. Can a vegan diet provide enough protein? Okay okay plants are good. But can I get enough protein for muscle building? Can plants really fuel my workouts and recovery? At the end of the day, you could build muscle on any diet, as long as you consume adequate and high quality calories, combined with exercise routines. So, where can you get proteins? 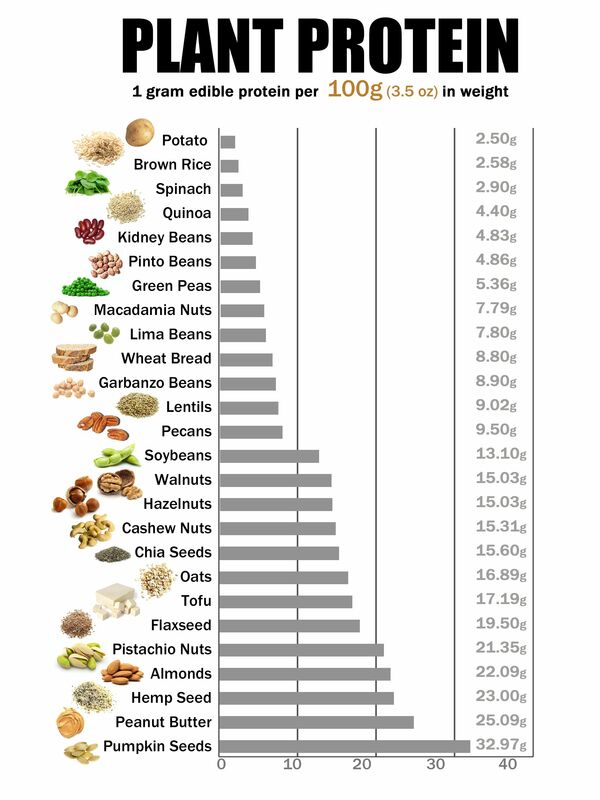 Beans, lentils, tofu, soy products, nuts and seeds generally contain the most proteins. Some grains including quinoa, millet and amaranth also provide some protein. How much protein do I need everyday? If you are thinking, these plant foods can hardly keep me full, how can they possibly provide all the protein for athletic performance? Well the truth is: A vegan diet can easily meet the protein needs in your body. And the good news is – You can easily calculate it online with a simple tool Vegan Protein Calculator. I just quickly ran my data on the calculator and got some back my results within seconds! 2 methods were used to calculate the protein requirements to give a better indication of how much I need. The first method is based on calories but not athletic goals, whereas the second is based on body weight, a common method used by athletes. So combining the 2 methods, I should aim for 70 to 95 grams of protein per day, with a minimum of 49 grams. Now that I know exactly how much protein I need, where do I find them? Easy – just use the Plant protein chart above to plan out your meals. In the beginning, you might find it a chore, but I guarantee you that once you get into the habit of doing it, it hardly takes any effort! A nice bonus that comes with this very handy protein calculator is that it also tells me all about how many calories I need to consume on a rest day or a workout day. In order for protein to support muscle health, meeting daily calorie requirement is necessary. Otherwise, some of the protein in the diet will be used to fuel basic bodily functions rather than muscle building and repair. What about “Protein quality” and “Complete protein” ? Wait, what? Proteins aren’t all the same? YES. Proteins are not all the same because they are made up of different combinations of amino acids – the building blocks of protein. You might have heard of the term “Complete Protein”. One common misconception regarding vegan diet is that plant foods don’t provide the whole suite of amino acids. OK. What’s the real truth here? There are 20 amino acids that make up the building blocks of protein. The good news is that our body makes 11 of them from existing molecules in our body, so we only need make sure we consume the rest the nine that our body cannot make. The nine amino acids that we need to get from our diet are called the essential amino acids. As Dr. Gregor points out in the video “The Protein Combining Myth“, the only “incomplete protein” in the food chain is gelatin as it is missing one amino acid, Tryptophan. Therefore, as long as you are consuming sufficient calories, you don’t need to worry about the protein deficiency myth at all. As for any other nutrient deficiency, this rule of thumb applies – We need to eat a variety of foods. At the end of the day, we get all of the amino acids and other nutrients we need from the whole bunch of foods we eat. This is exactly why Vegan Palette is called this name – We want your food plate to be like a palette with a variety of foods. Is there still a need for protein combining? The myth that plant proteins are incomplete, is completely misleading. As such, there really isn’t a need to deliberately combine proteins. Plus, our body has a powerful system of recycling amino acids and converting among them to make sure we have a balanced pool of all amino acids at all times. This is an excellent example of how our body maintains Homeostasis. In summary, plant proteins are in no way inferior to animal proteins. Plus, Plant proteins also don’t have the same pro-inflammatory and cancer-promoting effects as animal proteins. If you stick to the rule of “Palette”, and have a wide variety of healthy whole foods, your body will happily thrive and let you accomplish bigger things. Are you now more confident that you can meet all protein requirement now? Have you tried the Super handy tool Vegan Protein Calculator yet? Let us know how your gut health journey goes from here. Comment below what you liked about this article, and what topic you would like us to cover next! 1. Nowinski A & Ufnal M. (2018). Trimethylamine N-oxide: A harmful, protective or diagnostic marker in lifestyle diseases? Nutrition 46: 7 – 12. 2. Kruger R, Merz B, Rist MJ, et al. (2017). Associations of current diet with plasma and urine TMAO in the KarMeN study: direct and indirect contributions. Molecular Nutrition & Food Research 61(11). 3. Cho CE, & Caudill MA. (2017). Trimethylamine-N-Oxide: Friend, foe, or simply caught in the cross-fire? Trends in Endocrinolology & Metabolism: 28(2): 121-130. 4. Koeth RA, Wang Z, Levison BS, et al. (2013). Intestinal microbiota metabolism of L-carnitine, a nutrient in red meat, promotes atherosclerosis. Nat Med 19(5):576-585. 5. Li Q, Wu T, Liu R, et al. (2017). Soluble dietary fiber reduces trimethylamine metabolism via gut microbiota and co-regulates host AMPK pathways. Molecular Nutrition Food Research 61(12).